Capable of flat, saddle and loop (accessory required) stapling. Two or more units can be connected with optic cable for simultaneous stapling. 50 sheet capacity based on 80gsm paper. Produced for workplaces where sheets and brochures are to be stapled. 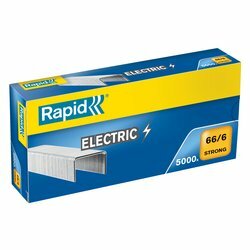 The Rapid 106E is two staplers in one. 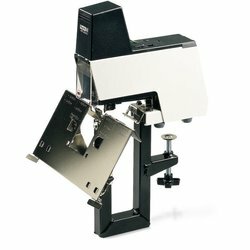 It offers the same functions as the 105E but thanks to its easily interchangeable insert, it is capable of doing both flat/saddle and loop stapling.